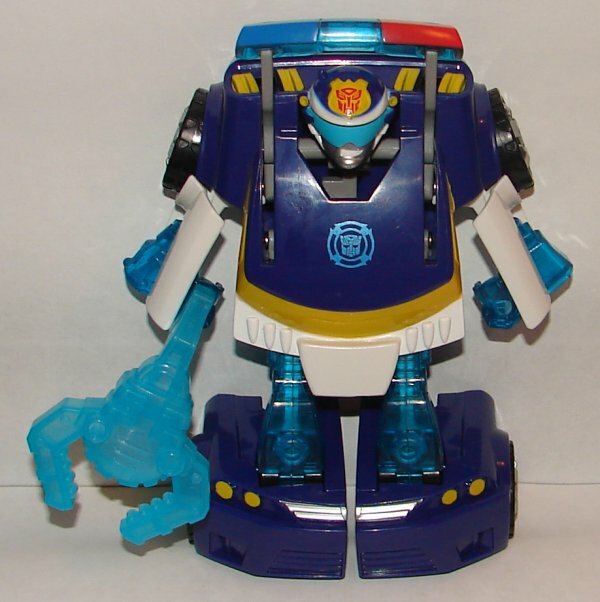 I picked up the new series of Rescue Bots recently. 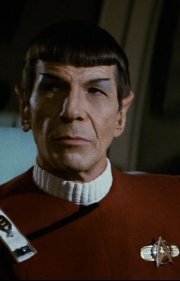 I don’t have any pictures of the original versions, and I never did a full review of them, so I’ll talk about both. One general note first. 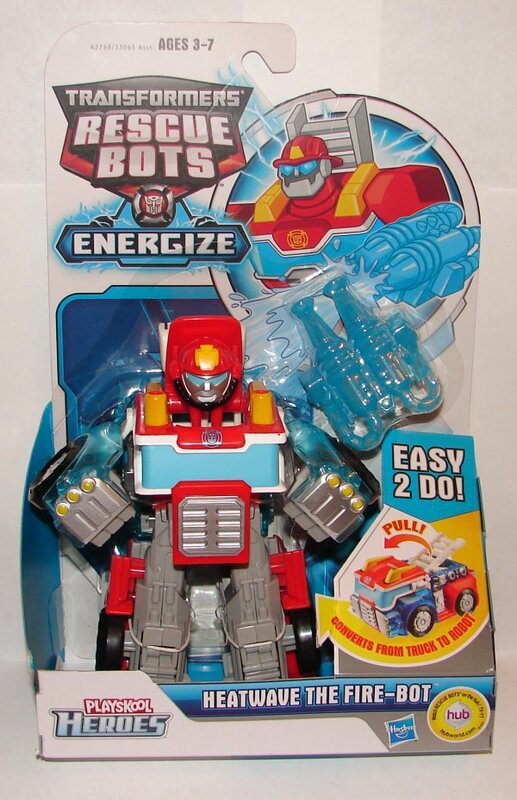 I noticed that all the toy pics on the Energize series packages have a single port for the weapons/tools. 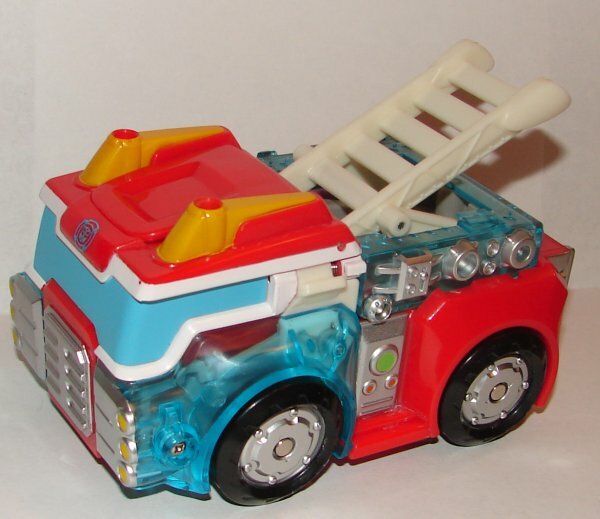 All the toys have two ports, making them symmetrical. It’s not unusual for toy photos not to match the production toys, but I wonder if this could mean we’ll see more accessories in the future. 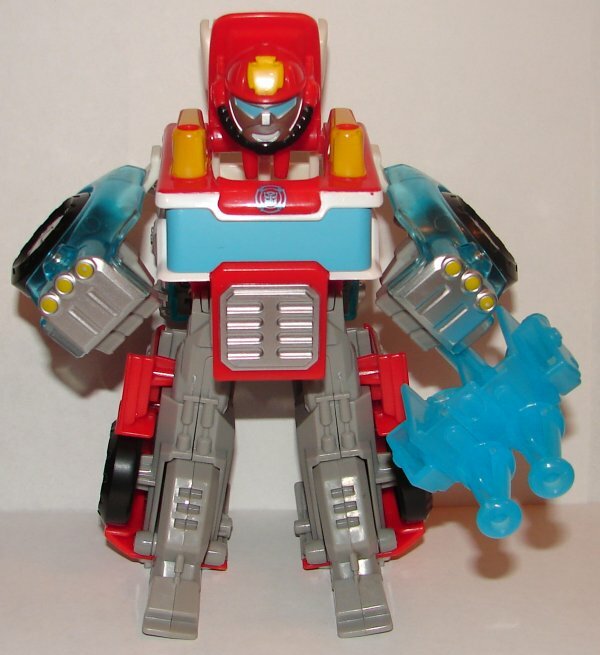 They did a nice job on the original Rescue Bots Optimus Prime toy. 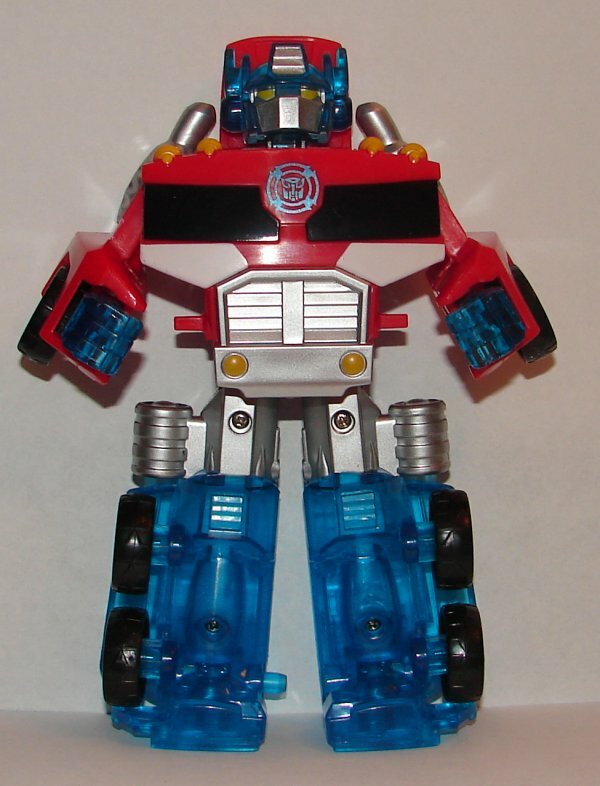 Basing the Optimus Prime design on G1 came out really great. 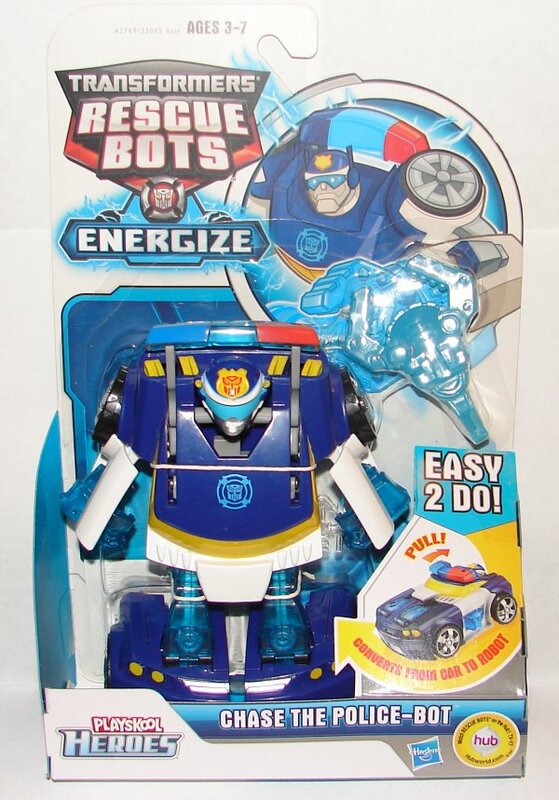 The Energize version has translucent blue fits and legs. 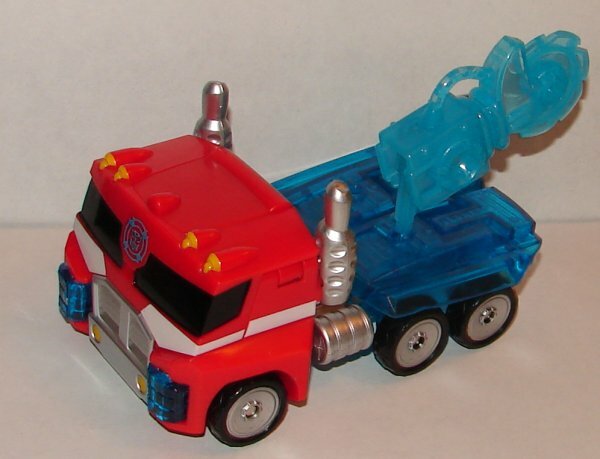 He looks nice, but I would have preferred ports for the saw to be on the cab roof. 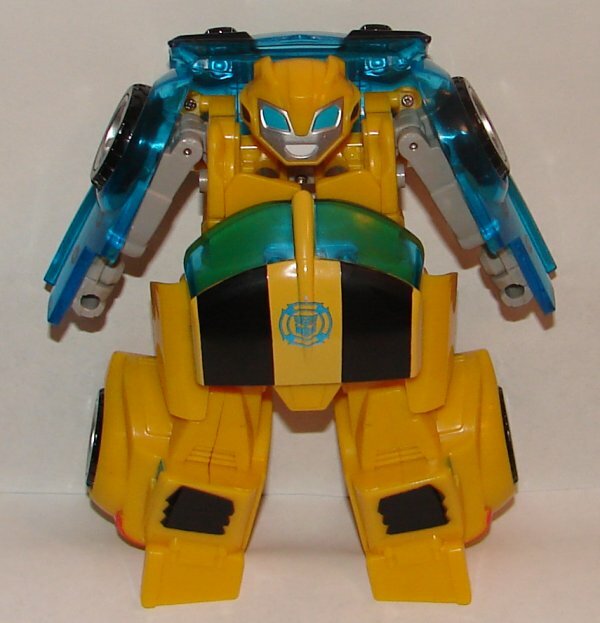 I’ve never really liked the Rescue Bots Bumblebee mold. 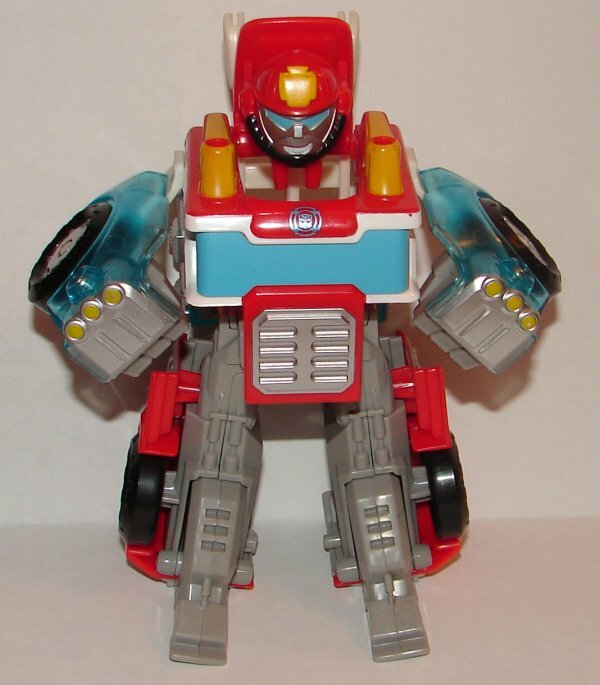 He looks like he’s shrugging perpetually. 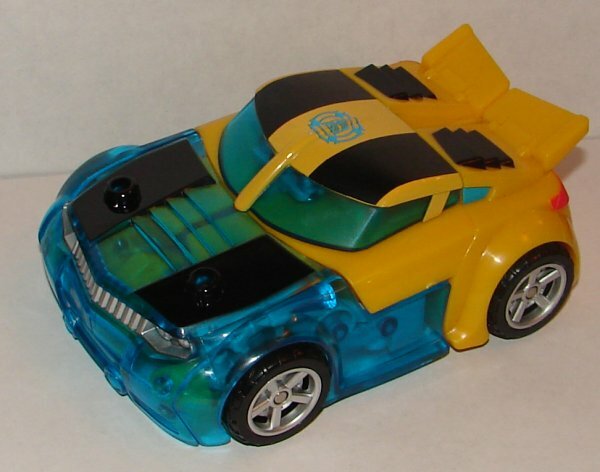 Making the car hood translucent looks nice, but I really think he needed some more design work. 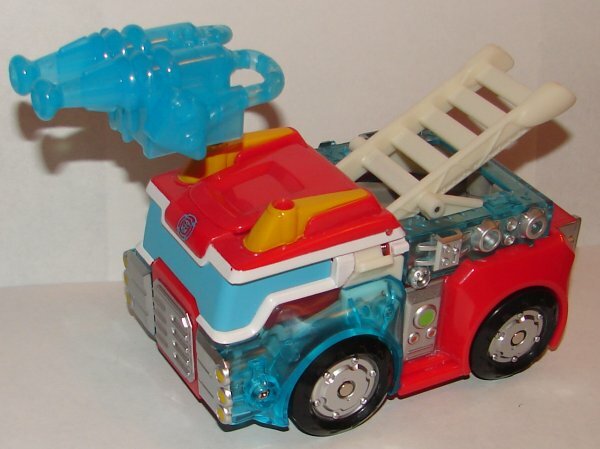 Heatwave is my second favorite toy after Optimus Prime. 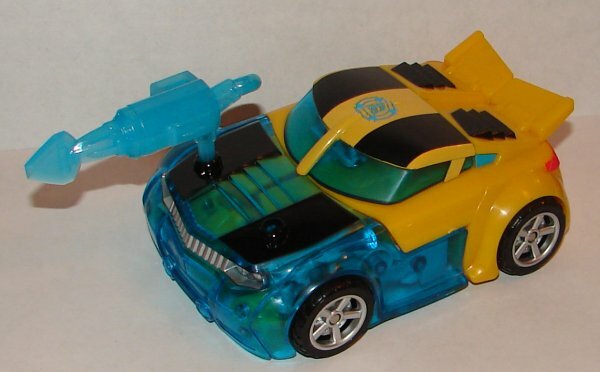 I love the head sculpt, and he has a really great vehicle mode. 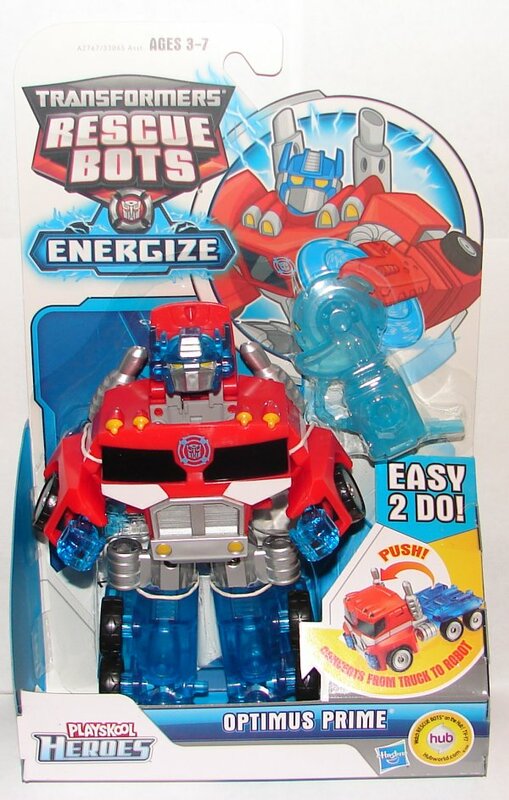 The Energize version has his fenders and the top of the back of his truck translucent. 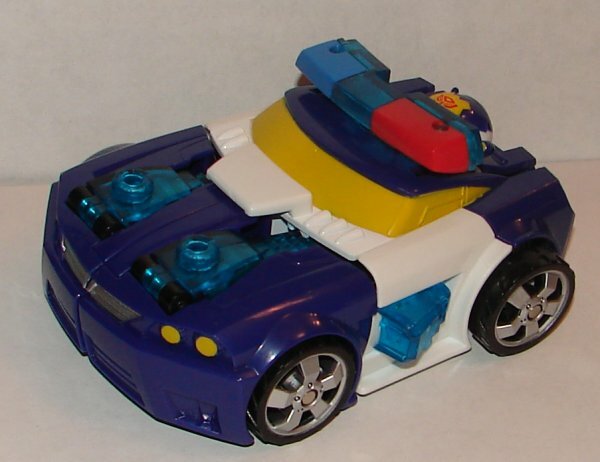 The original Chase toy was black instead of blue. 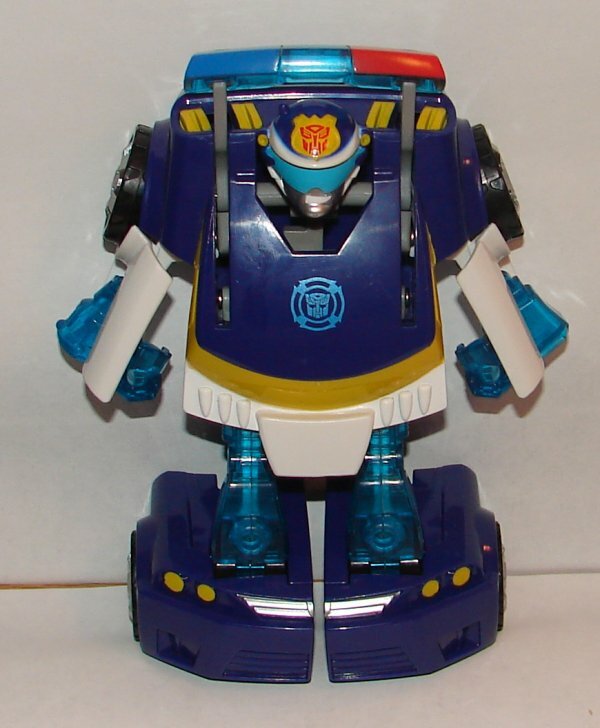 He was changed to blue for the Energize version to match his coloring in the cartoon. 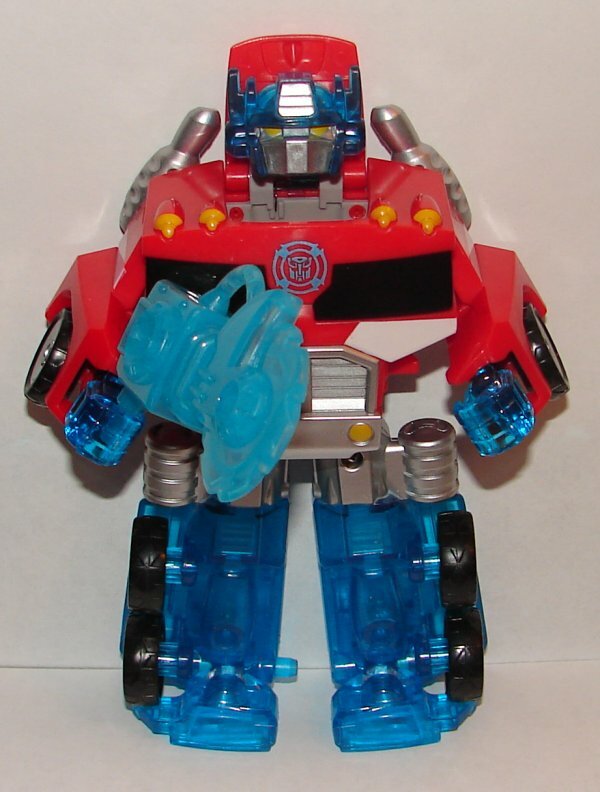 His legs, hands, and the megaphone and searchlight on his doors are translucent. 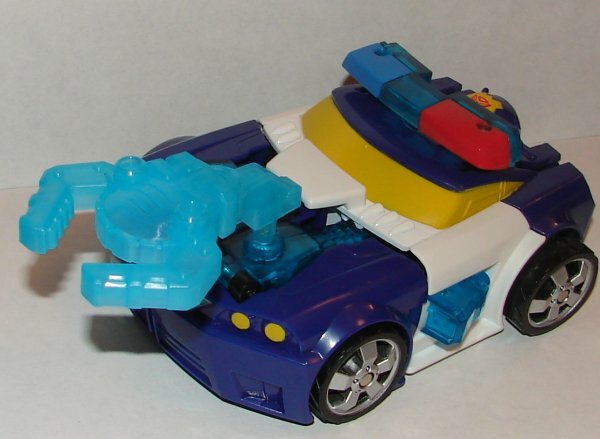 I don’t really like his robot mode, but he looks great in vehicle mode. 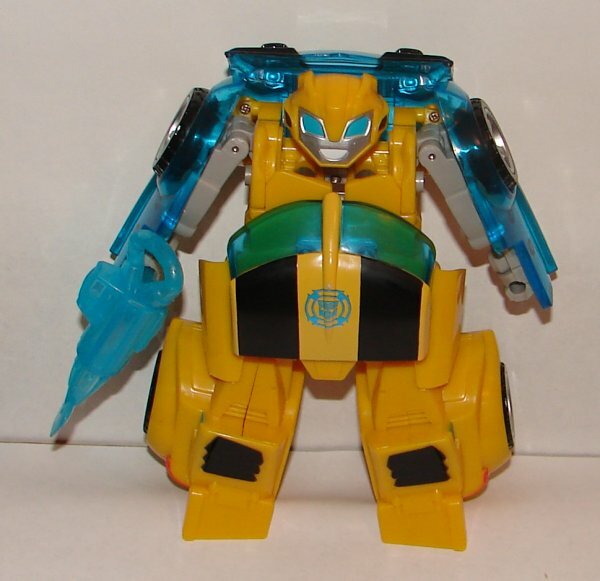 This entry was posted in Toy Reviews, Toys, Transformers and tagged Bumblebee, Chase, Energize, Energize Bumblebee, Energize Chase, Energize Heatwave, Energize Optimus Prime, Heatwave, Optimus Prime, Rescue Bots, Rescue Bots Wave 5, Toys, Transformers, Transformers Rescue Bots. Bookmark the permalink.